Take command of Texas roads and buy or lease a new car at our Ram dealership near Weatherford, TX! 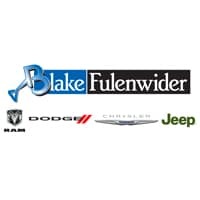 Our Texas Jeep dealer sells the full Jeep, Ram, Chrysler and Dodge model lineup, so you can finance a new car fast. Shop our selection of new Ram trucks and lease a new Ram 1500, 2500 or 3500 pickup. Need a new Jeep SUV? Come explore the new Jeep Cherokee, Jeep Grand Cherokee or Jeep Renegade. But should you want a new Dodge, be sure to test-drive a new Dodge Charger or Challenger. View our new car inventory and buy a new Dodge Durango or Chrysler Pacifica today!